St Petersburg stitch is an easy one to do. But I had not realized you could do it in the round! 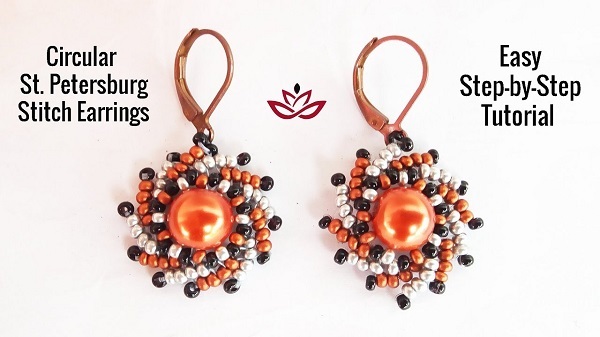 Check out Teddy of BijuTeo Beading's circular St Petersburg stitch earrings tutorial! Love the spiral effect. I think this stitch looks even better than the linear version. All you need are some 11/0 beads and 2 8 mm pearls. This is a very fast one to make especially if you have several people to bead for. Color combinations are naturally up to you! She also has a ring version! Don't Like Dangles? Make Spiral Stud Earrings!